Dear readers: This is the second and third part of a three-part series on the 1956, 1960, and 1964 Democratic National Conventions, and John F. Kennedy’s role at each. Click here to read part one. In 2016, some delegates in both parties have hoped the conventions might return to a bygone era, when they were not cut-and-dried, when delegates could revolt and pull surprises and upset frontrunners. There were plenty of Democrats in 1960 who prayed for just such an outcome. John F. Kennedy had won the primaries and run an exceptionally well-organized campaign — but he was a mere 43 years old, he was Roman Catholic in a heavily Protestant nation, and many party elders, including former President Harry Truman and former First Lady Eleanor Roosevelt, were open in their opposition. 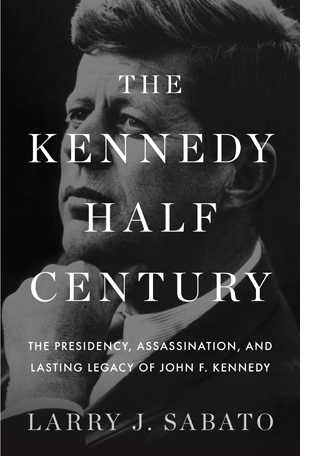 Nonetheless, by the summer of 1960, most party insiders believed the Kennedy nomination was a fait accompli. JFK arrived in Los Angeles for the Democratic convention brimming with confidence. He had already chosen his Washington headquarters for the general election and determined his strategy for the fall. His challengers were desperate to stop his nomination. Senate Majority Leader Lyndon Johnson’s supporters told the press that Kennedy had Addison’s disease and depended on cortisone treatments to stay alive. Robert Kennedy denied the charge, saying that Jack “does not now nor has he ever had an ailment described classically as Addison’s disease.” Bobby was not truthful, and neither were Drs. Eugene Cohen and Janet Travell when they published a report in June describing JFK’s health as “excellent” and his “vitality, endurance and resistance to infection” as “above average.” In reality, Kennedy had nagging health problems, including ulcers, colitis, and severe back pain as well as Addison’s disease. Travell would later discover that Kennedy’s left leg was three-quarters of an inch shorter than his right leg, a defect that had worsened his back pain for years and would force him to wear special shoes during his presidency. John Connally, one of LBJ’s strongest supporters and a fellow Texan, said that he would be delighted “to submit Senator Johnson’s medical record, since his recovery from a 1955 heart attack, and have it compared with that of Senator Kennedy and any other contenders.” The Kennedy campaign refused to take the bait and the controversy was soon lost in the excitement of the convention. JFK arrived in Los Angeles with 600 delegate votes, 161 short of what he needed to secure the nomination. Although confident of victory, Kennedy refused to take anything for granted. He knew that Sen. Stuart Symington of Missouri controlled between 100 and 150 delegates, two-time nominee Adlai Stevenson had somewhere around 50, and the Kansas and Iowa delegations had pledged their 52 votes to their favorite-son candidates, Govs. George Docking and Hershel Loveless. Kennedy understood that Lyndon Johnson posed the greatest threat to his nomination; even though the Texas senator had waited until the last minute to declare his candidacy — less than a week before the convention — LBJ had already lined up close to 500 votes. Five states were still up for grabs: Pennsylvania, California, New Jersey, Illinois, and Minnesota. On Monday, July 11, the opening day of the convention, JFK zipped between meetings in a white Cadillac that had a rare car telephone. At each stop, he glad-handed delegates and fielded questions from journalists. Meanwhile, at the Los Angeles Sports Arena, delegates had just settled in for a round of hum-drum party speeches when a huge commotion erupted outside — hundreds of men, women, and children were marching back and forth in front of the arena, waving signs and shouting “We want Stevenson! We want Stevenson!” The demonstration encouraged the California delegation — which previously had been leaning toward JFK — to split its vote the next day between Kennedy and Stevenson. At the same time, Johnson kept up the pressure on the Kennedy camp, secretly encouraging his supporters to make hay out of the family’s religion and accusing Joseph P. Kennedy, Sr., of having harbored pro-Nazi sympathies in the 1930s. Johnson also challenged the young senator to a debate in the week before the convention with their home Texas and Massachusetts delegations as the audience. Kennedy accepted, and confident of his forthcoming convention majority, all but ignored the brickbats Johnson hurled at him. Kennedy even said he was “strongly in support” of Johnson…for Senate majority leader. Unknown to Johnson or almost anyone else, Kennedy was seriously considering the Texan for the vice presidential nomination. On the opening day of the convention, in a highly unusual intervention by journalists, the newspaper columnist Joseph Alsop and Philip Graham, publisher of the Washington Post, stopped by Kennedy’s suite to urge him to select Johnson as his running mate. Having talked to friends of Johnson, they assured JFK that Johnson would accept the vice presidential nomination if it were offered to him. Kennedy tipped his hand a bit when he readily agreed with their arguments. On Wednesday, the excitement of the convention reached a fever pitch when Sen. Eugene McCarthy of Minnesota put Adlai Stevenson’s name into nomination. “Do not reject this man who has made us all proud to be called Democrats,” proclaimed McCarthy. “Do not leave this prophet without honor in his own party.” Stevenson’s supporters marched through the hall singing, clapping, and chanting, “We want Stevenson! We want Stevenson!” Watching the scene from the comfort of a posh Beverly Hills estate, JFK told his father not to worry because, “Stevenson has everything but delegates.” The Kennedy high command had made a science of delegate counting and was supremely confident. A bit later, Kennedy won the nomination on the first ballot with the support of 763 delegates — precisely two more votes than he needed. The decision on the running mate was next. Kennedy’s short list included Symington, Johnson, Humphrey, Minnesota Governor Orville Freeman, and Sen. Henry “Scoop” Jackson of Washington state. Kennedy knew that having LBJ on the ticket would help him greatly in the South and that, if he were elected, Johnson’s magnificent legislative skills might assist him in enacting his program. The possibility of taking the second spot was broached with LBJ, and sure enough, he was receptive. Johnson thought his nomination was a done deal as word spread. Then JFK had second thoughts the very same day: What if his choice, a conservative Southerner, caused a split in the party? RFK and aides Kenny O’Donnell and Ralph Dungan protested the possible choice. In order to line up liberal votes, they had promised to keep LBJ off the ticket. JFK also got an earful from labor leaders, who were angry with Johnson for supporting legislation they considered harmful to the union cause. Kennedy dispatched Bobby to warn Johnson about the brewing revolt inside the party. Bobby offered Johnson the party chairmanship as an alternative, but LBJ, blinded by tears, steadfastly refused. He wanted the vice presidency; Johnson was willing to give up real power in the Senate in order to “get in line” for the presidency. “Well, then that’s fine,” replied an unhappy Bobby. “He wants you to be vice president if you want to be vice president” — not exactly the enthusiastic embrace a prospective ticket-mate usually gets. Johnson never forgave Bobby for trying to bump him off the ticket, and this episode was apparently the beginning of their long mutual loathing. Whatever the internal turmoil behind Johnson’s selection as the vice presidential nominee, it turned out to be a big key to a close victory in the fall. A Northern Yankee, Kennedy could not have been elected without Southern electoral votes that Johnson added in Texas and probably other closely contested states below the Mason-Dixon Line. The implications of JFK’s decision would reverberate well beyond the election, of course. American history would have taken a different path, for good or ill, if one of the other possibilities had joined the ticket. Either Richard Nixon would have become president eight years before he actually did, or a Democratic president very unlike LBJ would have succeeded an assassinated Kennedy (assuming the murder would still have occurred). This alternate universe is fascinating to contemplate but unknowable. The Gallup Poll’s trial heat had been tied leading up to the convention. A strong performance in Los Angeles gave Kennedy a slim 50% to 46% edge over Nixon. It didn’t last, and Nixon went up by several points after his August convention. The polling see-saw continued all the way to the photo-finish in JFK’s favor on Election Day in November. Almost anything, even at the convention, could have made the tiny difference between victory and defeat. The formal business of the ’64 Democratic National Convention was nominating President Lyndon Johnson and his choice for vice president, Sen. Hubert Humphrey. The emotional highlight, though, would be memorializing John F. Kennedy, and this was not an entirely welcome prospect for LBJ. For weeks memos had streamed back and forth in the Johnson White House about how to handle the Kennedys in Atlantic City. In LBJ’s view, this was his convention, his opportunity to emerge fully from John Kennedy’s shadow. But to the Kennedys, and a large portion of Democrats and the public, it was impossible to forget that this would have been JFK’s moment of triumph, where he would have been launched toward a second term. LBJ’s convention solution was shrewd: the JFK film would be delayed until the final evening when the Johnson-Humphrey ticket was already set. Bobby Kennedy could tug at the delegates’ heartstrings all he wanted, and nothing would come of it. Virtually the entire convention hall was crying, and millions at home as well. The film recounted JFK’s achievements, but the personal glimpses — such as Kennedy teaching John Jr. to tickle his chin with a buttercup — were most affecting, and hard to watch. Meanwhile, RFK had left the stage and gone out to sit on a staircase. Inconsolable, he broke down in tears. No one knew better what that evening would have meant had President Kennedy not gone to Texas.